Qibla-aalam Zareen-zarbakht Sultan ul awliya, Rooh e Alam, Hazrat Alhaajj Khawaja Sufi Nawab uDeen (RA) (1901-1965) - a sincere wali of Allah. His heart and brain were the repositories of Divine Knowledge and Grace. 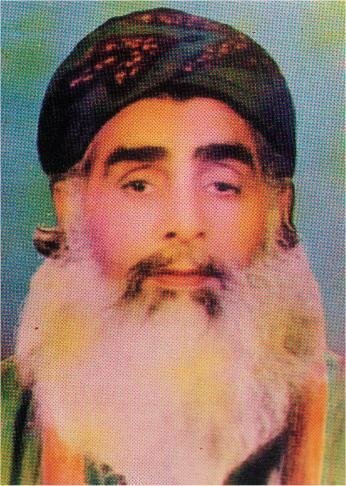 Hazrat Khawaja Sufi Nawa uDeen (RA) spent his life serving and spreading Islam. Obeying his sheikh Hazrat Hafiz Abdul Kareem Sahib (RA), he settled in a then remote village named Mohri Sharif. It is Hazrat Khawaja Sufi Nawab uDeen (RA) and his blessings that today Mohri Sharif is well recognized around the world due to his son Hazrat Khawaja Masoom (RA). Today Hazrat Khawaja Mohammad Zubair is following the footsteps of his ancestors to spread the teachings of Islam. Here you will find a biography of Hazrat Khawaja Sufi Nawab uDeen (RA). You can also read biographies of Hazrat Khawaja Mohammad Masoom (RA) and Hazrat Khawaja Mohammad Zubair. 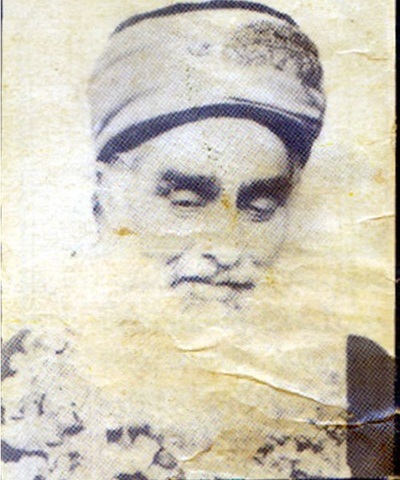 Qibla Aalam Sufi Nawab uDeen (RA)'s parents used to live in Jammu Kashmir. They spent their life in virtue and excellence in character. Once when Baba Ahmad Deen Sahib (father of Qibla Alam (RA)) was working in forest, he happened to face an unexpected event in his life. A lion appeared from bushes and placed his head upon Baba Sahib’s feet and left after some time. In the surprising situation, on his way home he met a saint who congratulated Baba Sahib on birth of his son. The saint forecasted that his son would possess dominant qualities of modesty and tenderness and millions of people will benefit from his spiritual teachings. Few days before this event, Baba Sahib’s wife shared a dream with Baba Sahib that she saw a beautiful white pigeon which flew towards her lap. When Baba Sahib returned home, he found out the forecast of saint who he met in the forest was true and Baba Sahib’s wife gave birth to a baby boy. It was blessed day 28th of Saffar 1319 (Hijri Calendar) or 1st February 1901. Baba Sahib named his baby ‘Nawab uDeen’. After four months Baba Sahib met the saint again and he asked Baba Sahib to bring the child to him. When the baby ‘Nawab uDeen’ was presented to him, the saint dropped his saliva in baby’s mouth and asked Baba Sahib to take care of the baby with dignity. Hazrat Sufi Nawab uDeen (RA) - a born saint, Hazrat Baba Sahib noticed many extraordinary things while Hazrat Sufi Nawab uDeen (RA) was growing up. From early childhood he was repository of sterling qualities and piety. His virtue, excellence of character, simplicity and dignity were acknowledged by all who came into contact with him even during his childhood. A considerable part of his time during childhood was spent in zikr and supererogatory acts of Ibaadat. Hazrat Baba Sahib narrated that Hazrat Sufi Nawab uDeen (RA) used to drink his mother’s milk once daily. His index finger always pointed towards the sky or towards his heart. In early childhood, in month of Ramadan, he used to drink his mother’s milk before sunrise and after sunset. Baba Sahib also noticed when Hazrat Sufi Nawab uDeen (RA) used to accompany him to the forest, countless birds and animals would gather around to amuse him. When Hazrat Sufi Nawab uDeen (RA) was four years old, Baba Sahib migrated from Kashmir to Mohri Sharif. When he was six years old, Syed Walayat Shah Sahib started to teach him on regular basis. As he was saint from birth, many strange things started happening from his childhood age. In his student life, Baba Sahib narrated a Karamet (unusual event) Hazrat Sufi Nawab uDeen’s (RA) that once Baba Sahib could not bind his book. Hazrat Sufi Nawab uDeen (RA) placed his unbinded book in the bookshelf. He found out in the morning that his book was binded. In 1922, Hazrat Sufi Nawab uDeen (RA) joined army forces and his first appointment was in Poona. When he received first salary, he distributed the money among his colleagues and poor people. Often he used to forecast circumstances to his colleagues. From an ordinary to senior army officers, everyone used to respect him due to his physical doughty appearance and spiritual personality. During his service, many unconventional things happened. Once he was working as a security guard, a regiment commander passed nearby him and Hazrat Sufi Nawab uDeen (RA) saluted him. When the commander reached home, he saw Hazrat Sufi sahib (RA) standing in the courtyard. The commander returned to the place where he saw Hazrat Sufi sahib (RA) first time and found him working on his duty. He returned home again and saw Hazrat Sufi sahib (RA) in the courtyard. He went near Hazrat Sufi sahib (RA) and asked him about what was going on. Hazrat Sufi sahib (RA) did not answer anything and he left. The commander kept on thinking about what had happened during that night. When he went to the office in the morning he called for Hazrat Sufi sahib (RA) and asked, are you a detective or a priest. He replied that I am neither a detective nor a priest, when time comes you will know who I am. He served at Poona for three years and received high level of respect and dignity from his team. In 1925, he switched his service from army to Engineering department of Railway service and moved to Quetta. In Quetta, a priest named William Great used to preach Christianity on regular basis. Once Hazrat Sufi sahib (RA) had argument with him and told him that Islam is the only true path towards success and the priest’s preaching is fiction. The argument settled on showing and proving their faith based on a deal. The deal was that they both choose one person each from the gathering. The priest would make his chosen person see Jesus Christ and Hazrat Sufi sahib (RA) make his chosen person see Prophet PBUH. After both dealing parties agreed on the terms, they both chose a person each from the gathering. The priest started reading verses from Bible and making rounds around the person. After half an hour the person did not get to see Jesus Christ. Afterwards, Hazrat Sufi Nawab uDeen (RA) asked his assigned person to make ablution. He made the person sit in front of him and started reciting Quran and got into meditativeness condition that the person sitting in front of him got somnolence. When the person woke up, everybody started questioning him about his condition. The person explained his wonderful condition of seeing Prophet PBUH and reverted to Islam. After seeing this William Great, the priest also reverted to Islam with his group of fifty people. Hazrat Sufi Nawab uDeen (RA) named the priest “Nawab uDeen” after his own name. It was already noted that a spiritual link of faith and love with Hazrat Hafiz Mohammad Abdul Kareem Sahib (May Allah bless his soul) was established during his early childhood days. The first time that Hazrat Sufi Nawab uDeen (RA) saw his Murshid Hazrat Hafiz Abdul Kareem Sahib (RA) was in Rawalpindi in 1929 when Hazrat Sufi Nawab uDeen (RA) went on vacation from his work. It is then Hazrat Hafiz Abdul Kareem Sahib (RA) also recognized Hazrat Sufi Nawab uDeen (RA) as a seeker of spirituality and made him his mureed. “you are not born to become employee but to be supervisor. Resign and come to me”. Therefore he resigned from army service and spent time serving his Murshid. To make his Murshid happy Hazrat Sufi Nawab uDeen (RA) stopped thinking about anything else and spent most of his time serving him. His second son 'Mohammad Zubair' got sick and passed away. Hazrat Sufi Nawab uDeen (RA) hid the news and kept serving his Murshid. Afterwards Baba Sahib, father of Hazrat Sufi Nawab uDeen (RA) came to Hazrat Hafiz Abdul Kareem (RA) and complaint about Hazrat Sufi Nawab uDeen (RA) not coming on funeral of his son. Hazrat Hafiz Abdul Kareem (RA) replied that in return of his son Allah may bless you with another virtuous son who will be famous all around the world and world will benefit from his spiritual teachings. After Hazrat Hafiz Abdul Kareem’s (RA) blessed forecast Hazrat Sufi Nawab uDeen (RA) had a son whom he named 'Mohammad Masoom'. Once Hazrat Sufi Nawab uDeen’s (RA) Murshid ordered to take oxen to the farm to graze farm land. He took the oxen and with their help started to give water to farm from the draw well. After some time a servant came and told Hazrat Sufi Nawab uDeen (RA) that Hazrat Hafiz Abdul Kareem (RA) recalled the oxen. He sent the oxen back and started to work himself in the place of oxen. He was doing zikr loudly and made himself busy in watering the farmland. In the mean time his Murshid passed by and saw Hazrat Sufi Nawab uDeen (RA) working in the place of oxen. He went near Hazrat Sufi Nawab uDeen (RA) and said that is enough, you have done enough service and watered my wells, may Allah water millions from your well of knowledge and blessings. Hazrat Sufi Nawab uDeen (RA) spent an exemplary time serving his Murshid. His Murshid conferred upon him the spiritual Mantle of Khilaafat authorizing him to initiate his Mureeds and to conduct the spiritual training of Mureeds. On 7th March, 1931 Hazrat Sufi Nawab uDeen (RA) with honour left the place of Hazrat Hafiz Abdul Kareem (RA) towards Mohri Sharif. After spending some time in NWFP, Hazrat Sufi Nawab uDeen (RA) stayed in Mohri Sharif for good. To spread his teachings he travelled to many places. It did not take long when millions of people started to benefit from his teachings. For a long time, he remained busy praying in the western part of Mohri Sharif. He used to clean and serve in the Jammiah Mosque. He served any guest to the mosque in the best possible way. During that time, the landlord (Raja) of Mohri Sharif and his mother requested Hazrat Sufi Nawab uDeen (RA) to accept their land in the eastern part of the town for Darbar’s construction. He refused to take the land. Raja sahib insisted and offered a deal. If the distance between the house of Hazrat Sufi Nawab uDeen’s (RA) Murshid Hazrat Hafiz Abdul Kareem (RA) and his darbar is same as the distance between Hazrat Sufi Nawab uDeen’s (RA) house and the proposed darbar site then Hazrat Sufi Nawab uDeen (RA) would accept the land as Allah’s will. Therefore after measuring the distance, it turned out the distance is the same. Hazrat Sufi Nawab uDeen (RA) accepted the land considering it as Allah’s will. Hazrat Sufi Nawab uDeen (RA) and his companions constructed a majestic Jammiah Mosque and even today a commanding tomb of Hazrat Sufi Nawab uDeen (RA) is present in Mohri Sharif where million of people gain spiritual benefits. Hazrat Sufi Nawab uDeen (RA) also constructed a long and eighteen stairs deep tunnel in the darbar sharif. He used to prayer there in internment. In the construction his Murreeds Saain Nazir Ahmad, Saain Mehar Ijaib and Sufi Ashiq Ali worked in great deal. 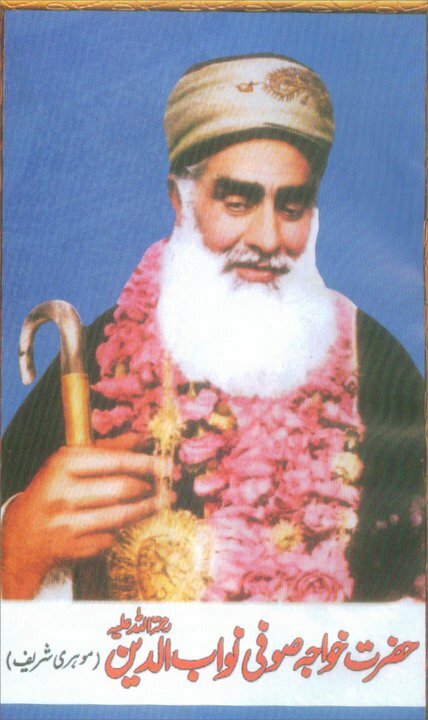 In 1938 Hazrat Sufi Nawab uDeen (RA) received permission to celebrate birth of Prophet PBUH (Urs) from his Murshid. 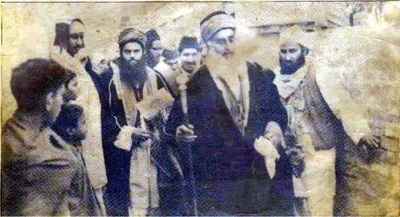 Therefore Hazrat Sufi Nawab uDeen (RA) arranged the first celebration (Urs) in 1939. In Mohri Sharif, every year this urs has been celebrated which started from a small gathering and turned to a grand celebration where masses of people attend with full spirits. On 14th June, 1954 Hazrat Sufi Nawab uDeen (RA) went on journey to Hajj with a group of 313 people. He had his son Hazrat Khawaja Mohammad Masoom (RA) with him as well among other well recognized people of his time. They started the journey from Rawalpindi to Gujrat via Kharian and prayed Zuhar at Eid Ghah Gujrat. When reached to Lahore, they went to tomb of Hazrat Data Ganj Bakhsh and performed maraqba there. After he went to Multan and stayed in Bagh Aam -o- Khas and went to many tombs for Fatiah. He also went to Quetta and spent three days there. On the way to Hijaz, in Meer Jawa, Iran Hazrat Sufi Nawab uDeen (RA) met Iran’s custom officer and his family and they got inspired from his pious personality. They invited Hazrat Sufi Nawab uDeen (RA) to stay with them for some time. He accepted the invitation on his return. Iranians got very inspired from his personality and many Iranians accepted Hazrat Sufi Nawab uDeen (RA) as their Murshid and became spiritual students. In Basra, Iraq he stayed near river Dajla where he had opportunity visiting tombs of many Sahabis and Tabaeens including Hazrat Zubair, Hazrat Talha, Hazrat Ans bin Malik, Hazrat Hassan Basri and Imam Ibn -e- Seerin (RA). He also visited Kuwait in his journey to Hijaz. After performing Hajj, he went to Madina to visit tomb of Prophet (SAW). During his stay, with special permission from Prophet (SAW), he bestowed caliphet to his beloved son Hazrat Khawaja Mohammad Masoom (RA) and appointed him as his subordinate. On 4th of August after farewell salam at Prophet’s (SAW) tomb, he returned to his land. With a magnificent inner personality, he had a attractive physical appearance. He was tall and had well built body with wide forehead and beard, beautiful eyes, long and wide hands with red and bright facial complexion. His spiritual personality was so much attractive that after looking at him, a person’s eeman would get refreshed. Although for Allah’s wali, karamat are not proof of their status, even then karamat make us further close to them. Happening karamat are true and are proved by Quran and Sunnat. The biggest karamat of wali Allah is that they shape the destiny of their spiritual students. Change a person’s nafs status from nafs Ammarah to nafs Mutmainnah and spend all their life following Quran and Sunnat. That is their biggest karamet. 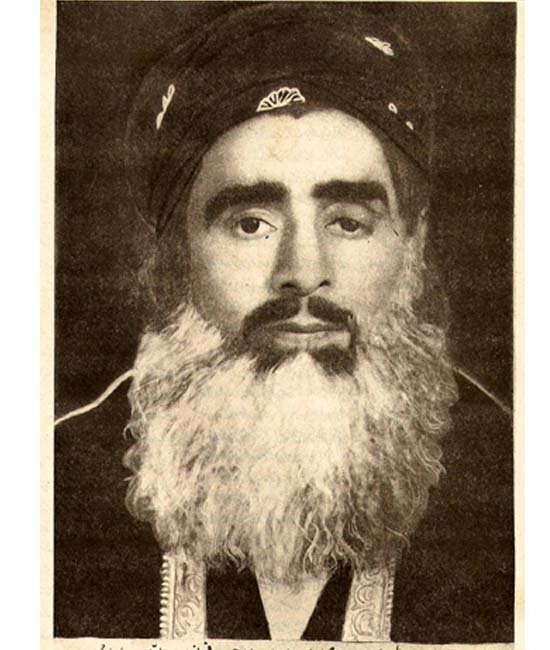 He passed away on 12th Rabi ulAwal 1385 (Hijri Calendar) or 12th July 1965 on Monday. He is buried in Darbar -e-Alia Mohri Sharif on the south side of Jamiah Mosque Zareen Zarbakht. His tomb had been built into a majestic facility.